Menapians has always prided itself on its sprinters. And when a club has a sufficient number of sprinters its focus invariably turns to the relays. Menapians currently has a squad of talented female sprinters who just happen to be in the same age category. The girls, all under 17, decided as far back as last September that this day was D-Day. They would win the 4x100m. Victory or bust! Liadh Dwyer was fast out of the blocks and ran a great bend, handing over cleanly to April Keeling. April hit the turbo button down the back straight handing over to Suzie Brennan who consolidated the lead round the final bend. 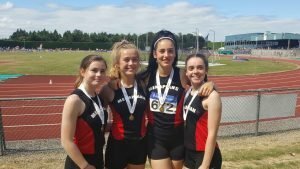 Baton safely in her possession, the experienced Sabia Doyle on the anchor leg stormed down the home straight to victory and a well deserved national title. The B Championships offer an opportunity for those who, for whatever reasons, have not qualified for nationals to have another bite of the cherry. They are important from a development point of view as well as allowing athletes to draw a line under their season. The unfortunate title of the event notwithstanding, this meet always throws up plenty of closely fought contests and top-notch performances. 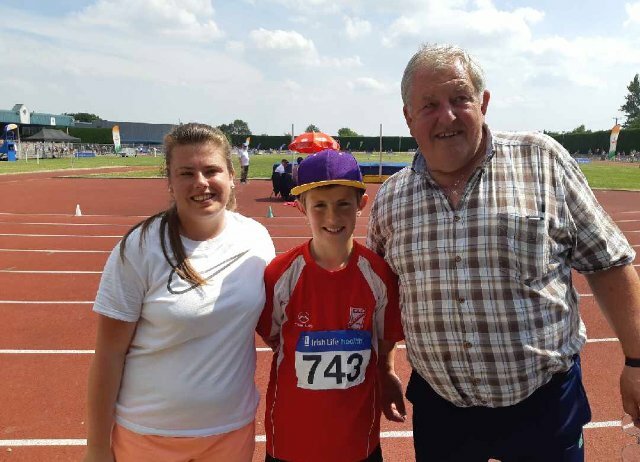 Top performances from a Wexford point of view were the win by United Striders athlete Adam O’Connor in U16 800m in 2.09 mins and the joint first place of Dearbhla O’Hanlon, Taghmon AC, in U16 High Jump. 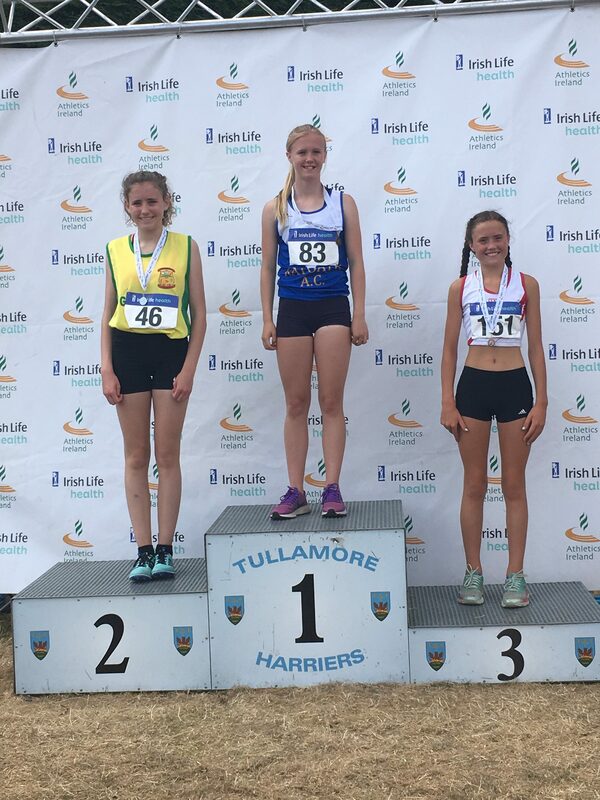 It was good to see Claragh Keane (DMP) showing some of her old sparkle as she took a Bronze in U15 800m. There was also Bronze for her clubmate Rachel Gregg in High Jump. 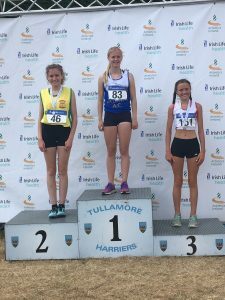 Ailbhe White (Menapians) made the final of U14 80m and placed 4th in Long Jump. 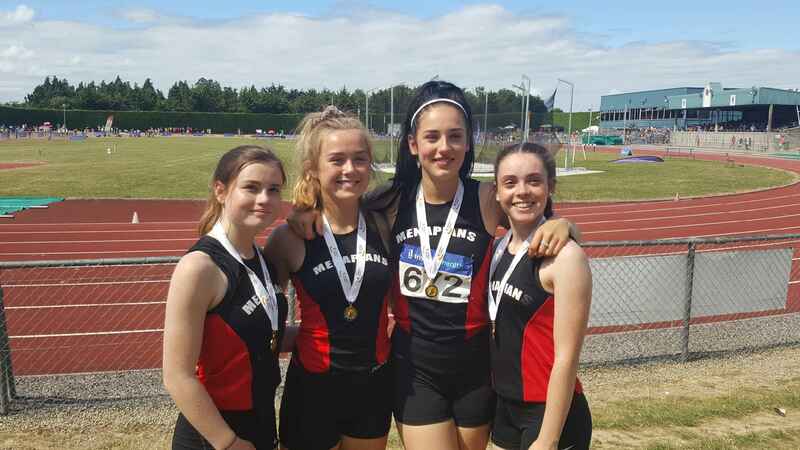 Tagged Menapians girls relay team, National Track Relays, Wexford success at 'B' Championships. Bookmark the permalink.